This past weekend I heard a quote from Louie Giglio of Passion City Church: "it's easy to be a person with information but lack wisdom." So true! It's so easy to take details and moments in but to hang on to them, share them with others, compare them to scripture and see what the Lord has to say about them is often neglected. These few books, podcasts, and other knick-knacks have really propelled my "free time" into a whole other ball game. I feel like I've been soaking up good Truths, replacing the old with new and identifying lies I thought were true all along. If you love devotions, these are great for you. New Morning Mercies is a great one for an everyday thought provoking 30 minutes. 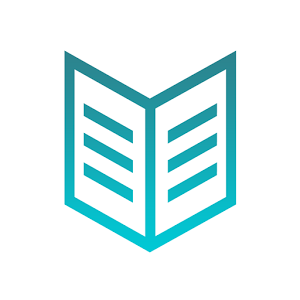 It gives you further scripture to read and approach after the devotional. Praying the Bible is so so good if you are seeking to learn more about prayer and the power it has in our lives. It walks through the Bible and when + how scripture tells us to call on the Lord. So good! Shauna Niequist is one of my favorite authors and speaker so this 365-day devotional, Savor, is an easy one to display on a coffee table and flip through when you need a little pick me up. 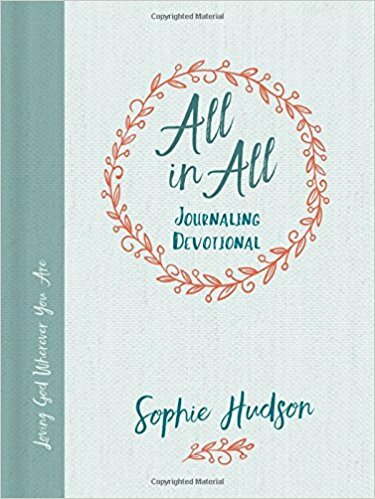 If you're a doodler I have a devo for you: All in All is a journal devotional that allows you to write (or draw) your thoughts while reading. Flourish is supposed to be a 52 week devotion (one devotion a week, duh) but it's so hard for me to not just read the next for the next day. So so good! Also, I do not read all of these at once, it may sound like it but that would be a lot and so crazy and too much for me to handle. Me sharing all of my favorites is not me advising you read all of them at once. Pick one, finish it and then pick another - that's how I do it! Has the Bible on the app but it also has short devotionals and screen savers for your phone. How cool! A great Bible tool for the ESV translation of the Bible. It allows you to highlight, make notes, look up words - great for studying! I have the linen hardback covered book and it's beautiful! I use it as decor just as much as a Bible - it's just so beautiful! The front page of every book has a beautifully painted verse from the book. There are maps and timelines easy to study as well as devotionals throughout by some of our favorite authors. Again, another gorgeous Bible! The gold foiling stands out among the rest. It's a journaling Bible so it's great for note takers. The beginning of every chapter has a piece of art about the book. It's more traditional and classic looking - it reminds me of a vintage Bible and the chronicles of Narnia illustration. I wish I could go through every single podcast but these are truly just the best I've found. 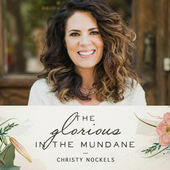 Glorious In the Mundane is a podcast you listen to in order to relax but also pick up nuggets of truth or "aha" moments. The Happy Hour is a mixture of hilarious episode and episodes that send chills down your spine. Each one leaves you feeling like a "better you." Crazy Love Podcast who doesn't love some Francis Chan?? He always leaves everyone's jaws dropped, a true gift of speaking directly to people's hearts. Francis speaks with Holy Spirit lead conviction - get ready because he also is talented enough to "call you out" via podcast. You'll leave with one more part of your life identified that the Lord wants you to change. I'll leave The Next Right Thing and The Shauna Niequist Podcast up to you to listen to and observe for yourself! Just know that they're wonderful and will rock your world. I'm really proud of this playlist - it's a fun combination of soothing and songs to dance to! I'm always adding to it so you can bet on it changing and not hearing the same songs over and over again! With 300 songs, you're bound to find a song that moves you on days you need to feel loved. What are your favorite faith filled resources? Any favorites I should know about? ?